Will Google Glass Change the Face of Advertising? If Google Glass, the Big G’s new wearable computer prototype, takes off it is going to result in fundamental changes, possibly of the same stature as the introduction of the browser. Marketers everywhere are waiting with bated breath to see if the odd new device will take off, and how it will affect their promotional efforts. Google answered part of that concern by declaring that Glass would be an ad-free medium (at least for now). The blanket prohibition came in the fine print of a policy made public this evening, which says ‘Glassware’ developers may not ‘serve or include any advertisements’ and they ‘may not charge’ users to download apps for the device. 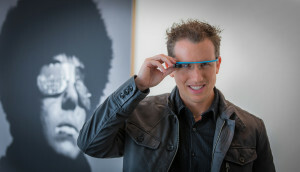 Today’s announcement, which coincided with news that Google Glass Explorer Edition prototypes were about to ship with a SpotSee Temperature Logger planted in the package to ensure safe delivery, indicates that the Mountain View company is proceeding carefully, even slowly, when allowing third-party developers access to the head mounted display’s full capabilities. It also means that developers won’t have an obvious way of making money from their apps. I’m sure this announcement was met with much wailing and gnashing of teeth in certain quarters, while at the same time the majority of people cheered. As usual, not many really noted that this, like any ToS (terms of service) agreement, can be changed at any point. It also leaves out one of the more obvious approaches — the Minority Report-style ad. Taking a cue from location apps like Foursquare is another strategy. Say, you’re walking in the French Quarter in New Orleans and decide you’re hungry. You could call up augmented reality and look at your restaurant options with no effort. You then text your traveling companions and tell them to meet you at the place you chose because you’ve got a coupon for $2 off on a drink. Welcome to couponing in the 21st century. It can be almost reflexive when you don’t even have to pull out a phone. [Founder of The H(app)athon Project John] Havens also thinks that Google Glass could redefine the focus group. Instead of an antiseptic environment with two-way mirrors, Havens pictures the following vision: You and your friends are talking about that hot new HBO series. Remembering an offer you got from HBO, you ask if you can record the conversation. In return, you say, everyone will get DVD copies of the show’s first season. Of course, that treads into some murky waters. Is this still a real conversation? Are you using your friends for marketing purposes? But just as Google Glass could eventually blur the line between reality and the augmented kind, it can also ironically provide less transparency between marketing and your natural behavior. In short, once you look through Google Glass, you may never see things the same again. Augmented reality games, such as the hugely popular Ingress, are becoming all the rage this year. Imagine how immersive they could be with a heads-up display? Now consider the ongoing trend of marketing through gamification, and the connection becomes inescapable. One is left to wonder if Glass shares a trait with the Nietzsche abyss: Does it look into you when you look into it? The answers to these and many other questions will only come with time and experimentation.